The story of Brokeback Mountain a familiar one. Ennis Del Mar and Jack Twist are two cowboys who are hired by Joe Aguirre to shepherd sheep up on a Wyoming mountain named Brokeback. After a half hour of lushly scenery, Jack takes Ennis seduces Ennis and within seconds, Ennis is inexplicably battering Jack. Inexplicably because, a few scenes earlier, Jack was cooking and Ennis stripped naked to bathe, and neither man takes mind of what the other is doing. This gives an impression of instant gays, which is utterly absurd. In one of the reuniting scenes later, they practically bite off each other’s lips, indicating the extent of passion. Is this real? In the film, neither actor emits chemistry with nor eros for the other. Decades go by, and these two men marry, use, and abuse the women in their lives. Ennis is the worse of the two, for his wife Alma actually seems to love him, while Jack’s wife, Lureen, a former cowgirl, accepts the fact that he’s queer, and is romantically involved with Ennis in Wyoming. The wives are mere plot points in the film, not worth developing, especially since the leads are left in emotional utero even longer. The two male leads, however, look ridiculous in their poor makeup jobs. Aging, for them, consists of growing sideburns, it seems. Eventually, Ennis divorces his wife and Jack goes ‘full on’ in his quest for sexual quest, which eventually gets him to death at the age of thirty-nine. The best scene in the film is when Ennis calls Jack’s wife, after a postcard comes back marked deceased. Gyllenhaal is ok as Jack, but Heath Ledger totally butchers ‘cowboy’ lingo, constantly letting his Aussie accent seep through his near constant mumbling. On a social level, I am tired of films like this that indulges more gay stereotyping by making gay characters dying, murderous, depressed, deranged, victimized, or victimizer. And, ethically, the film does a lot of dancing around the ethics of adultery and lying in a marriage. For example, if this film were about two men who cheated on their wives with other women, would the film have portrayed their encounters so favorably? But, adultery is okay if gay, and letting your ‘true’ self be revealed. So, it’s ok to be a liar if queer, but if you lie and use women in your straight adultery it’s not ok? 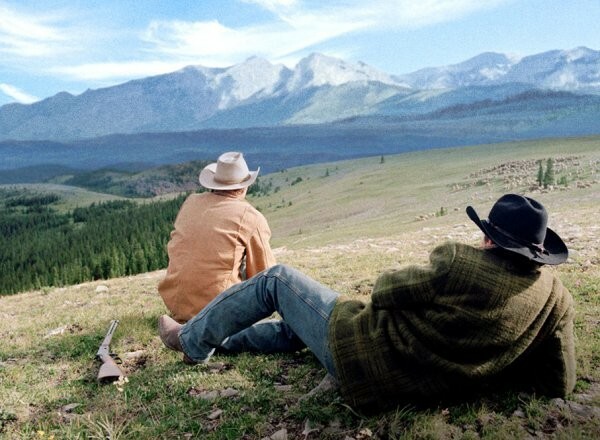 Brokeback Mountain is not a love story for the ages, but a tale of simple sexual obsession. This film simply subordinates whatever good artistic impulses the director may have had in favor of the Lowest Common Denominator import of the ‘message’. Were this a film whose leads were straight, the critics would have torn at it for being every bit as kitschy as the abominable Love Story was. 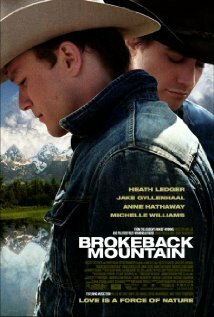 Bad writing, and dubious moralizing, makes Brokeback Mountain every bit as bad a film as any other bad film.